Dr. Cindy Summers, DC has been a licensed Chiropractor since 2001 in California where she practiced for 17 years and still sees patients in her Los Angeles office monthly. 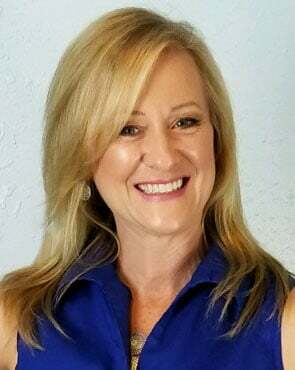 Dr. Summers has been in the natural health field for 24 years as an NRT practitioner and Neuromuscular massage therapist and has brought her expertise and skills as a Chiropractor, Nutritionist and Neuromuscular massage therapist to the Pflugerville/Round Rock/North Austin TX. Her new state-of-the art office opened on June 4, 2018. Dr. Summers uses a holistic or "whole person approach" when taking care of her patients. By combining the very best hands-on-technique, core strengthening procedures, and providing the newest and best natural vitamins and mineral supplements on the market today, Dr. Summers is able to help you to accelerate and/or maintain your journey to good health. Whether you need help in person or online health coaching, your health will be changed and improved with the techniques and recommendations from Dr. Summers. If you would like to see if Dr Summers is the right practitioner for you, consider doing a complimentary 15 minute Skype consultation. My health journey started after I had a history of health problems and injuries. At 5 years of age, I had a severe concussion that left me hospitalized with loss of memory for 3 days. I was diagnosed with Juvenile Rheumatoid Arthritis when I was 8. At 11 I had an appendectomy. I had another brain trauma at 14 that left me with another concussion. I had a neck injury in gymnastics when I was 14 that never really went away and ended my career as a gymnast. When I was 20 years old, I was diagnosed with Epstein-Bahr Virus and Fibromyalgia and sent out of the doctor's office with a bottle of pills. After a few auto accidents and a back injury, my whole body was in agony. I was a 23 year old living in a 73 year old body. I had back and neck pain, headaches, TMJ syndrome, chronic strep throat, endometriosis, chronic yeast infections and all of my muscles ached. My doctors were giving me no hope and no relief so I turned to chiropractic and alternative medicine. Now I am a Chiropractor and Doctor of Pastoral Science & Medicine and I use all of the techniques in my practice that helped restore my health: Gentle and specific manipulations for the spine, Neuromuscular Therapy for the muscles, Cellular Detoxification, Colon Cleansing and whole food nutrition and herbs to nourish and strengthen the body. These techniques combined decrease the healing time for most physical problems and restores the body back to normal function.